I'm posting over at Write. Click. 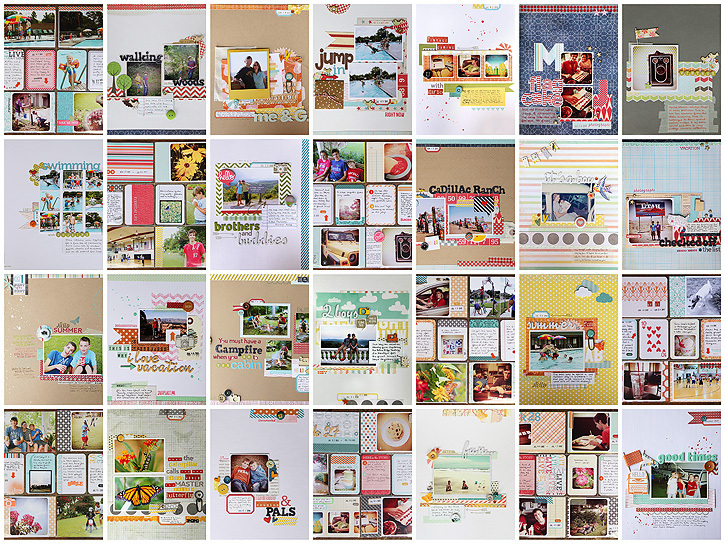 Scrapbook. today about my month of making almost a layout a day in July and what I learned from it. Here's a closer look at a layout I haven't already shared. Summer is coming to an end for us next week... not the unbearably hot weather... just the break from school... so I'll share a fun summery layout about going to the pool. Too bad summer has to fly by so quickly each year. Wow! You had a busy month! Great pages! Looks like you had a lot of fun - both making the pages and doing the things that filled them. great job! pretty awesome what you did this month, you have such a beautiful style! Good for you!! These were great to see - sorry school starts so soon for your guys! Amazing collages in beautiful Summer colors and designs. Great capture ! 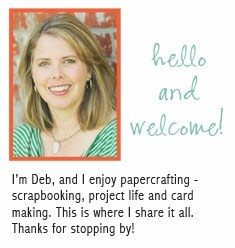 Deb, I loved following along with your layouts last month- your style wonderful! And you've inspired me to try my own layout a day- I'm thinking maybe September when life settles down a bit.